Marvelous sceneries and endless savannas are waiting for you. Discover the wonderful animals in great landscapes! 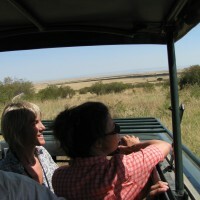 Tsavo,- Kilimanjaro- and Shimba- Hill- Nationalparks are easy to reach from . Shimba- Hill- Nationalparks is reached within a 45- minutes drive.